Cllr Fiona McRae and Cllr Anne Allan at the new Peterhead Travelodge in Chapel Street. 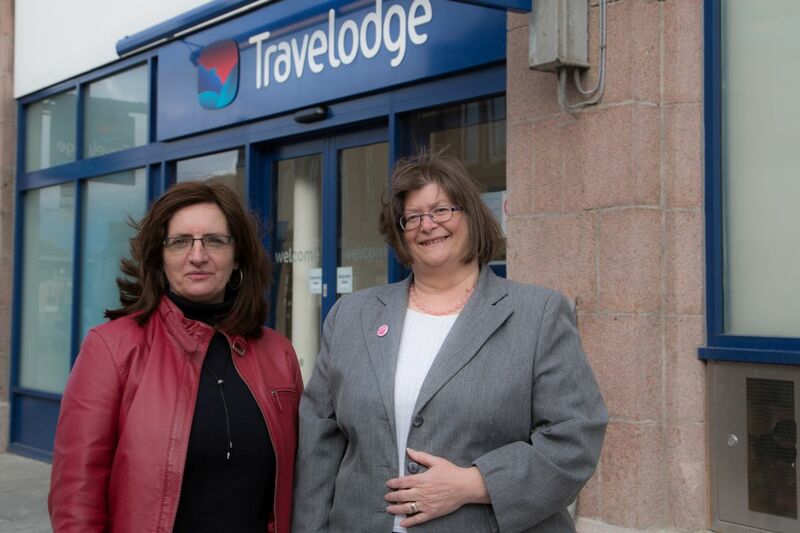 Local councillors Fiona McRae and Anne Allan have hailed the opening of the new Travelodge in Peterhead as a tremendous boost for the Town Centre. 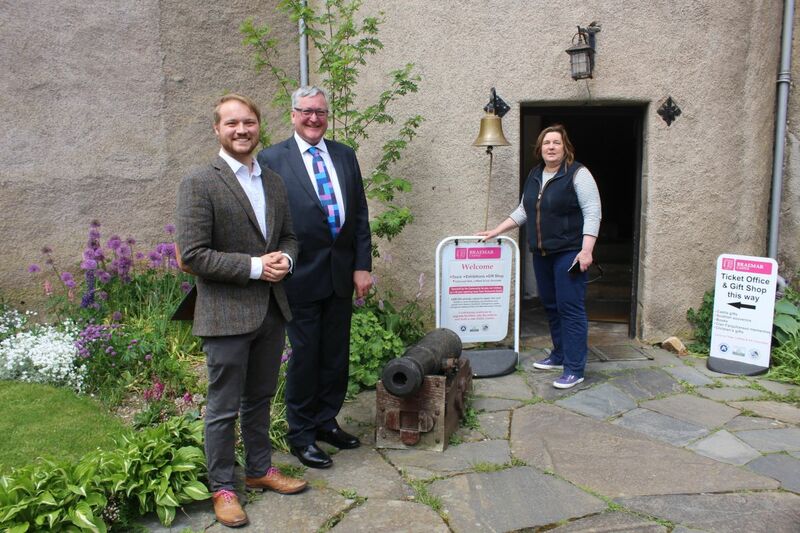 The new hotel in Chapel Street officially opens on Tuesday at a ceremony to be attended by Aberdeenshire Provost Hamish Vernal, amongst others. The development has transformed a semi-derelict part of the Town Centre and has saved the eastern façade of the street from demolition. “The former flats in Chapel Street have been a long-running issue and it’s great to see this development come to fruition with a new business coming to Peterhead and redeveloping the site. “While I’m delighted that Aberdeenshire Council has over £1.5Million allocated to assist with regeneration in Peterhead, private investment is a huge part of the process and this is an excellent example of that. Stewart Stevenson, has contacted ALDI to voice local residents’ concerns re. new store. Concerns from local residents over the apparent lack of any visible progress in developing the former Kirkburn Mills site in Peterhead have prompted local SNP MSP Stewart Stevenson to contact ALDI Stores. “I am pleased that ALDI have confirmed once again their commitment to Peterhead and it does appear that work is going on in the background in order to get to a position where construction on the site can start. 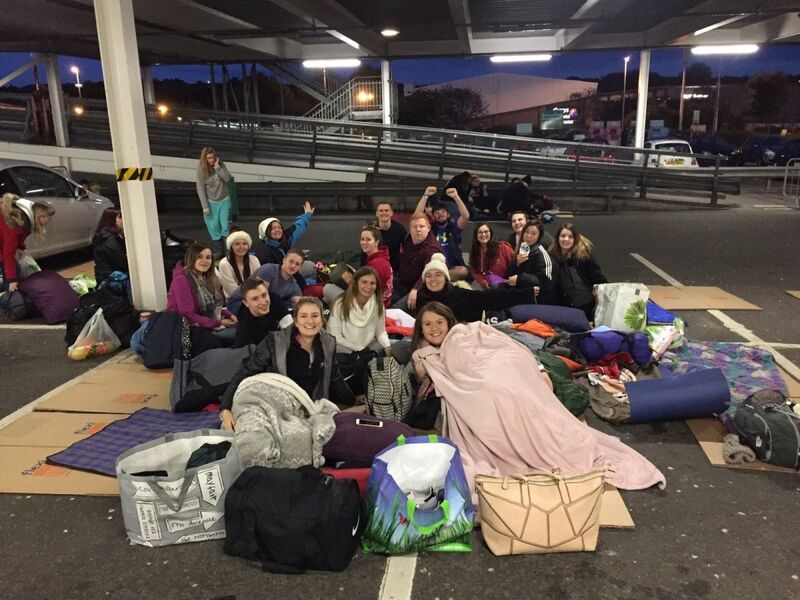 Aberdeen Asset Management apprentices organised a fundraising sleep out which helped raise over £14,000 for charity. A group of Aberdeen Asset Management apprentices who have made their mark on their workplace – and also in their community by raising over £14,000 for charity – are meeting their local MSP during Scottish Apprenticeship Week. Aberdeen Central MSP Kevin Stewart’s visit to Aberdeen Asset Management comes as the firm is looking to recruit its next batch of talented young recruits for offices in Aberdeen and Edinburgh. Aberdeen is inviting applications from would-be apprenticeships in Aberdeen and Edinburgh between now and April 2. Applicants meeting the criteria will be invited to attend a recruitment open day and selected candidates will be asked to complete two weeks’ work experience during July 2017. The final interview for the apprenticeship programme will take place during work experience with apprenticeships commencing in September. MSP Mr Stewart will meet a group that includes the five strong team of apprentices who organised a series of events, including a sponsored sleep-out when they were joined by colleagues in sleeping outdoors in Aberdeen on a winter’s night, helping them raise an impressive £14,000 plus for Aberdeen Cyrenians. “We’re looking forward to sharing the benefits we have found from directly entering the workplace rather than choosing higher education. Aberdeen Asset Management has introduced its own apprenticeship scheme for school leavers in recent years. The programme runs for 12-24 months and is designed to help apprentices learn about the organisation, meet the people involved and help them decide which area of the business to begin their career in. Appprentices are challenged to work together for community projects. “Scottish Apprenticeship Week celebrates the benefits apprenticeships bring to individuals, businesses and communities, as well as their contribution to the Scottish economy and we have first hand experience of that here at Aberdeen Asset Management. “As a business we understand that recruiting, developing and retaining the best people is fundamental to our ability to perform and through our apprenticeship and other entry level programmes we look to identify talented individuals at the start of their career. Tory councillors in the North-east of Scotland have rejected plans to offer businesses rates relief for the second time in under a week – after the Tory-led Moray administration recently threw out an SNP amendment encouraging the Moray Council to follow Aberdeenshire’s lead in offering local business rates relief. 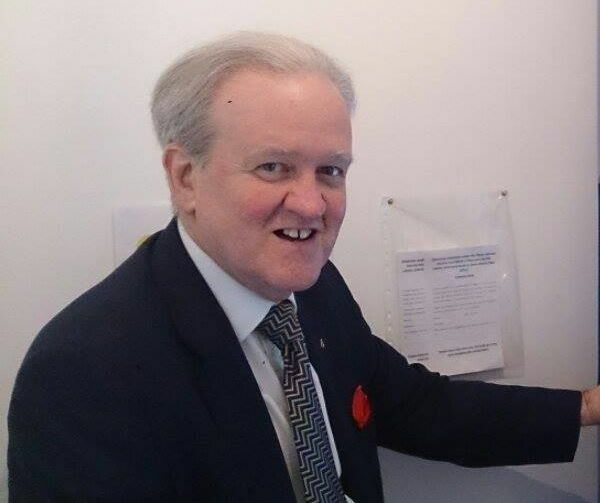 SNP councillors in Aberdeenshire last week passed a budget allocating £3 million for a local business rates relief scheme, to help those that have seen larger rates revaluations and are feeling the effects of the downturn in the north east economy. SNP councillors in Moray had tabled an amendment to the Tory-led budget in Moray suggesting a similar scheme, but this was rejected by Tory councillors, including part-time-MSP-come-referee-come-councillor Douglas Ross. On the same day as Ruth Davidson has reportedly stated that businesses are “staring down the barrel of a gun” due to changes to business rates, the actions of Tory councillors clearly demonstrated they are more interested in opportunistic soundbites rather than providing firms with meaningful support when they have the powers to do so. “This is quite astonishing from the Tory-led administration in Moray. They have not stopped criticising the Scottish Government for the changes to business rates, yet they refuse to use the powers that they have at a local level to provide firms with meaningful support. “It is clear that Ruth Davidson’s Tories are only interested in scoring political points rather than actually providing any support to the businesses they have claimed to support in recent weeks. 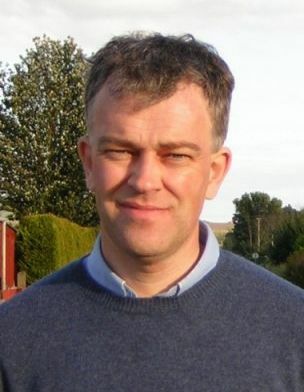 “Voters across Moray and Aberdeenshire aren’t daft, and they’ll have seen Douglas Ross and others leading the chorus against changes to businesses rates, before he voted today to prevent businesses from receiving substantial support. Their opposition has been proven to be nothing more than crocodile tears. 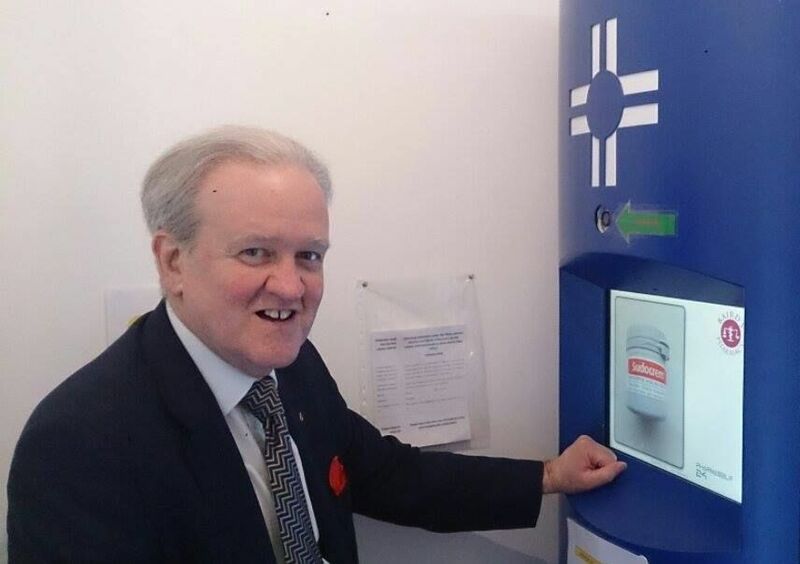 Aberdeenshire Council has refuted claims made by Tory MSP Peter Chapman that a new mental health service is excluding people, insisting that the new service will be equitable across Aberdeenshire and provides a more person centred service. Following the awarding of the contract for a new ‘Mental Health – Pathways to Recovery’ service last year, Aberdeenshire Council has been working with provider SAMH as they roll out the new service across Aberdeenshire. 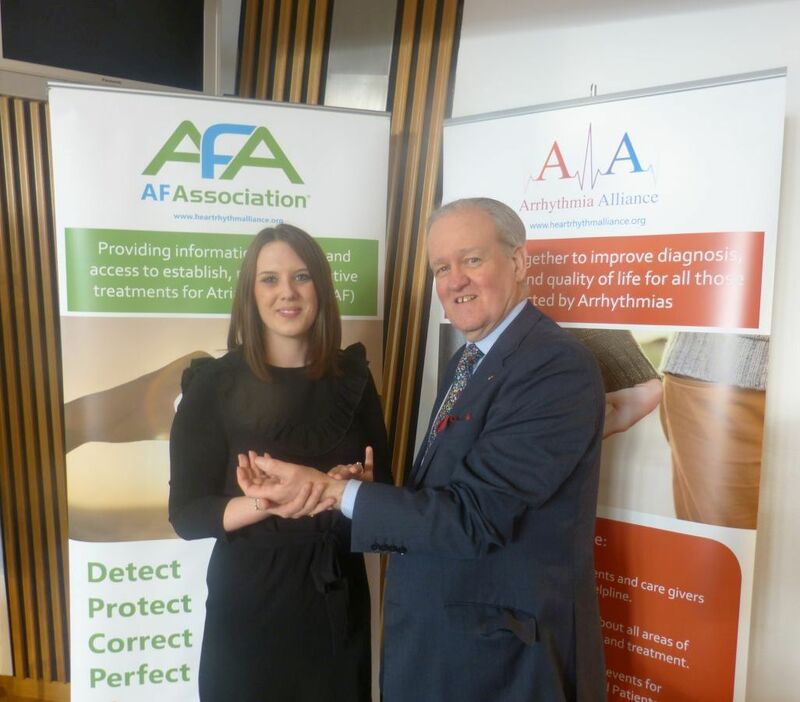 It was commissioned to provide a community-based mental health service and to promote the achievement of a mentally well and inclusive Aberdeenshire in which people who experience mental illness are enabled to recover and achieve their personal outcomes. It provides more equitable services across north, central and south Aberdeenshire; to target service provision more appropriately to individual risk and need; and to support people who experience mental illness and help them enjoy mainstream activities alongside other members of the community. “It is simply not true to say people have fallen through a chasm and been forgotten about as has been claimed. Everyone who has registered with the new service has been contacted by SAMH and we continue to urge anyone who requires support to register with SAMH. “If for any reason they do not want to register with SAMH they can contact our Community Mental Health Teams who will support them. “The new service is about helping people to recover and supporting them to achieve their outcomes. A buildings based service restricts the number of people who can access the service. If people cannot attend the building at the time it is open then they are excluded from the service. In a ground-breaking move, Aberdeenshire Council today became the first local authority in Scotland to set a carbon budget alongside its revenue, housing and capital budgets. All four budgets for 2017/18 were set at the meeting of the full Aberdeenshire Council yesterday (9 February). The idea of a Council carbon budget was put forward last year by Democratic Independent and Green Group (DIGG) councillors Martin Ford and Paul Johnston. The aim of the budget is to promote the effective management and delivery of reductions in Aberdeenshire Council’s own carbon emissions – and so contribute to the wider efforts to prevent more serious man-made climate change. Aberdeenshire’s first carbon budget, agreeing to limit total Council emissions to 74007 tonnes CO2e for 2017/18, was backed unanimously by councillors. The new total represents a five per cent cut in emissions relative to emissions in 2014/15 (the most recent year for which data were available when the budget was being calculated). “This is a very important improvement to the Council’s governance. It will change the way the Council takes decisions. “Despite very considerable effort, the Council has only been managing to cut the carbon emissions arising from its operations by about one per cent per year – nowhere near enough to meet its own or national targets. I have held the view for some time that this is partly down to the governance arrangements in place in the Council for taking decisions with climate change implications. “The adoption of an annual carbon budget should make it impossible to ‘forget’ in future that, as well as its intended consequences, a decision may also, unintentionally, increase carbon emissions. “There is overwhelming scientific evidence for man-made climate change caused by greenhouse gas emissions. It’s the most serious threat we face. “The carbon budget will allow the Council to achieve the necessary carbon emission reductions as efficiently as possible. We can use it as a tool to ensure the Council gets best value, the maximum carbon bang for our bucks. 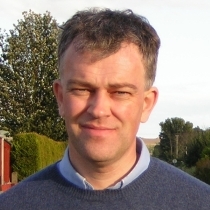 Aberdeenshire Green councillor Martin Ford has welcomed the extra money for local government secured by the Green MSPs in return for supporting the Scottish Government’s budget. Aberdeenshire Council is set to benefit from an additional £6.309 million revenue funding and an additional capital allocation of £1.88 million – beyond the settlement previously intimated by the Scottish Government. Budget day this year for Aberdeenshire Council comes on Thursday (9 February) and the agenda for the budget meeting has just been published containing proposals for balancing the 2017/18 revenue budget on the assumption of acceptance of the Scottish Government’s previous position on local government funding. 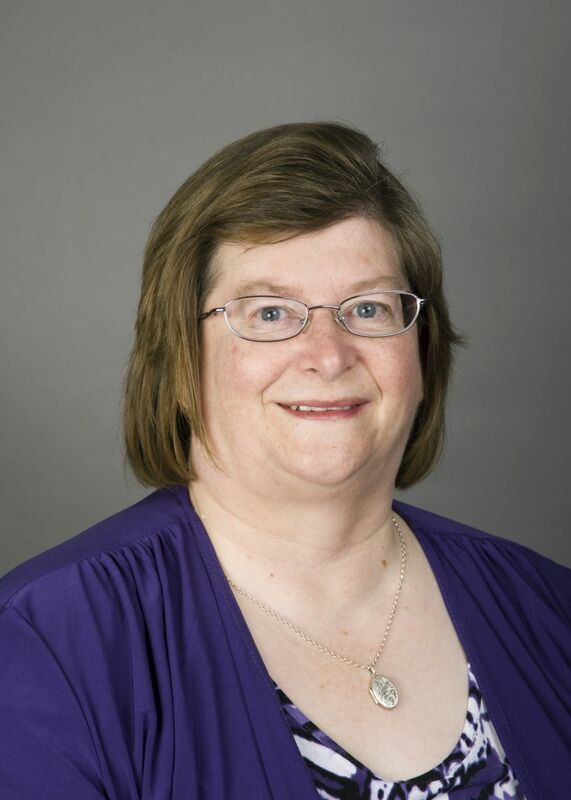 “I am relieved and delighted that, at the eleventh hour, additional government funding has been secured for next year for Aberdeenshire Council. “For Aberdeenshire Council, Green MSP colleagues have secured a huge improvement. “Even with £6.3 million extra funding, it is still going to be a tough budget this year for Aberdeenshire Council. But clearly the Council will now be able to re-visit the budget proposals just published and, at the very least, take out some of the proposed cuts to services. This is excellent news. I am so pleased. The proposed Aberdeenshire 2017/18 revenue budget, as published yesterday, does include elements put forward in the Democratic Independent and Green Group (DIGG) draft budget proposals last November – including additional money for active travel, traffic calming and youth work. “We’re pleased some issues we identified as needing support have been taken on board by the administration, but, given the financial squeeze, the amount of extra money was inevitably going to be very limited. There is clearly now scope for a greater investment in these agreed priorities. Fish processors in the North East of Scotland would be disproportionately hammered by reckless Tory plans to slap a £1,000 levy on EU workers in the UK following a hard Brexit. concentrated at individual sites in the North East. Immigration Minister Robert Goodwill suggested that firms could be charged £1,000 each year for every EU worker they employ. The anti-business plans have been labelled xenophobic by former Belgian Prime Minister Guy Verhofstadt who is one of the EU’s chief Brexit negotiators and even criticised by senior Tory Anna Soubry who blasted the proposals as a “tax on successful businesses”. Figures reveal that individual businesses could be stung particularly hard by the proposed tax. Buchan’s Macduff Shellfish, for example, has a workforce of around 500 people – with 79 per cent of them non-UK EU citizens. That would mean a £395,000 annual levy imposed by the Tory government on this single business. Around 3,000 EU citizens work in the seafood processing sector alone – with thousands more in the wider food and drink industry. The misguided Tory attack on foreign workers would mean a multimillion pound bill imposed on businesses in the North East. “The Tories are moving further and further to the right at an alarming rate. “Their plans to tax firms an excess based on the number of European workers they have on the books are discriminatory, deeply disturbing and potentially crippling in terms of business. “But sadly that comes with the territory of a hard Brexit, characterised by xenophobia and Tory politicians finally peeling back the mask to reveal a dangerous and divisive agenda. “In my constituency alone, firms could face charges up to half a million pounds just for having the ‘audacity’ to hire workers with the right set of skills who have chosen to make Scotland their home. Many firms would face the very real consequence of cutting jobs or even facing closure. “It’s incumbent upon Ruth Davidson to distance herself from these comments and to make the case to her bosses at Westminster that Scotland shouldn’t suffer as a result of a Tory hard Brexit led by the loony right-wingers in her own party.